Rebekah is a Licensed Professional Counselor who received her Master’s in Counseling from the University of Wisconsin-Whitewater. 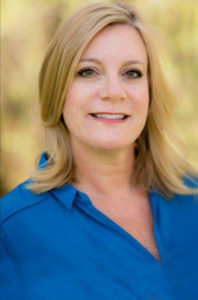 In her 10+ years in the field, she has worked in school settings with children and adolescents, as an in home therapist and family advocate helping families develop the skills necessary to prevent and manage crisis, and most recently in a psychiatric hospital helping clients and their families, with a special emphasis on behavioral interventions, parent coaching, and family therapy. Rebekah is a dedicated professional with significant knowledge and experience to helps individuals achieve goals and make positive changes. Rebekah utilizes a variety of therapeutic models including Cognitive Behavioral Therapy, Dialectical Behavioral Therapy, Exposure Response Prevention Therapy and Acceptance Commitment Therapy. Rebekah has worked empowering clients across the life-cycle from early childhood to adulthood, especially with adolescents and young adults. She brings compassion and understanding to the therapeutic space, which often feels very reassuring to her clients. In Rebekah’s strength-based and supportive approach, she works to meet her clients where they are at with compassion and active listening, by providing them skills to manage the stressors in their day to day life.